The McLaren-Honda partnership is one that seemed doomed to fail since the Japanese marque arrived back in Formula One in 2015, the brainchild of Ron Dennis who firmly believed, rightly so, that in order to beat the likes of Mercedes in the hybrid era it would require ‘works’ status. Of course just like any story in Formula One it’s not as cut and dry as this, with numerous behind the scenes machinations leading us down the the rabbit hole. A divorce from Mercedes, who’d been their engine partner since 1995 and granted them ‘works’ status of their own, was on the cards as soon as McLaren started their own road car division, of which the 12C was the catalyst. Martin Whitmarsh’s play fair approach of allowing the Mercedes-Brawn tie-up was just the nail in the coffin as it gave the Mercedes board a way of entering the sport as a constructor in their own right - buying up BrawnGP at the of 2009. The way in which Mercedes went about their 2014 project - the all conquering W05, was the straw that broke the camel's back for Dennis who had begun to step back into the Formula One spotlight, having spent time overseeing the road car divisions ascent. His notion that only a ‘works’ team had the ability to challenge another ‘works’ team was starting to come to fruition and with no other options on the table (Red Bull were essentially a works team at that point) he thumbed through his rolodex for Honda’s number. It wasn’t such a bad idea, the pair had a huge amount of success at the end of the last turbo era (1988), with one of the most dominant cars in the sports history - the MP4/4. They followed this up with another three titles, as Honda’s V10 helped them to stamp their mark on history. The problem that Honda faced this time was the staggering technological challenge, something both parties clearly underestimated and with such a short lead time it was gamble that hasn’t paid off for either party. We all know of the woes that the ‘size-zero’ concept caused in 2015, as the RA615H’s performance was primarily dictated by its architecture - too small a turbo between the engine's Vee, leading to a huge hole in the energy map as the MGU-H simply couldn’t recover the level of energy required. On top of this the rushed to market powerunit was more than a little unreliable and with the homologation process and token system in place at that point making wholesale changes was almost impossible. A softening of the regulations and abandonment of the token system has since made life much easier for Honda, with an entirely new concept run during the 2017 season and whilst penalties for failures remain commonplace the manufacturer does at least appear to be getting on top of the performance aspect. One of the main issues that Honda have faced in their quest to improve their powerunit has been raw data. Whilst other manufacturers have supported upwards of three teams they have only McLaren with which to garner information, an important factor when we consider they were already several years behind the development curve, as the likes of Mercedes began their R&D in the early part of the current decade. One of the major stories for 2018 was that Honda had secured a second team with which to supply their powerunits. It was initially thought to be a win for Sauber as they’d have a huge chunk of their budget written off, as Honda desperately wanted to resolve their issues and having two extra cars giving them usable data would assist them in the long run, meaning the Japanese marque would pick up a large portion of the bill - a massive saving when compared with the Ferrari deal. McLaren were also expected to see some financial rewards, with Sauber set to purchase gearboxes from them as part of a similar technology tie-in to the one they’ve enjoyed with Ferrari. As we know the deal between the three parties has since been torn up, as Longbow Finance - Sauber’s new owners, felt that it wasn’t in the best interest of their team and becomes yet another footnote in a long line of exasperating moments between Honda and McLaren. It seems the Japanese manufacturer has finally decided to put their cultural differences aside and have started to take help from outside too, as Ilmor Engineering are now believed to be helping Honda, in much the same way they attempted to help Renault. The Renault and Ilmor partnership was a muddy one though, with Red Bull first instructing the latter to work alongside the French manufacturer, as they were unhappy with their progress. It’s understood that whilst there was a difference of opinion between Renault and Ilmor on the overall direction of the project, the performance of the Ilmor iteration met expectations during testing. This bodes well for Honda as they go in search of extra performance, better fuel economy and improved life expectancy for the parts. Zak Brown, now in charge of steering the McLaren ship and looking to right its course has been tasked with remedying an untenable situation that has seen Fernando Alonso switch to Indycar once this season and has angered the Spaniard to a point that he has intimated he may leave the team for a second time, such is his desire to be part of a more competitive outfit. Having touted their wantaway desires around the entire paddock and having been rebuffed by both Mercedes and Ferrari it only had one more option available - Renault. The problem for Zak is that in order to get the Renault powerunit and fulfill his team's contractual commitments to Honda he’d need to create a deal consisting of numerous moving parts. Firstly, to save their blushes and make good on their investment he needed to find another home for Honda, not an easy task given their own problems with the Japanese manufacturer. 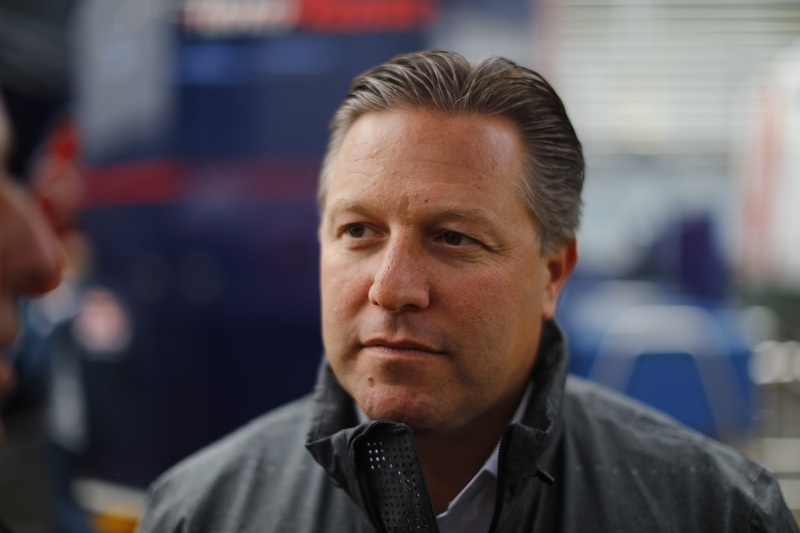 However, an accord seems to have been struck with Toro Rosso, a team able to take a punt on Honda turning things around, given they are a second string team. Furthermore, from a financial aspect the deal will be beneficial for the Anglo-Italian minnow as Honda will inevitably foot at least the supply cost and perhaps even offer up a substantial development budget for their chassis. The big obstacle in this mega deal is that in order to release Toro Rosso from their contractual obligations it would appear that the Renault have decided to play their hand. 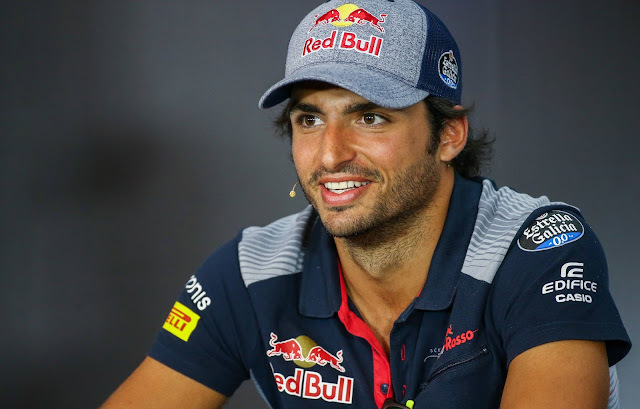 Not content with having Nico Hulkenberg and hype train surrounding a possible return for Robert Kubica, they’ve turned their attention on prying Carlos Sainz Jnr away from Toro Rosso and the Red Bull junior programme. It’s a move that could actually play out as early as Malaysia, with Pierre Gasly deputising for the Spaniard the rest of the season and most likely into the 2018 campaign - luckily he’s just started to hit his stride in Super Formula too. A Renault deal for McLaren is going to put immense pressure on the Woking outfit, strain the relationship with Red Bull and potentially see the ‘works’ outfit get beaten by two of its customers. The pressure for McLaren comes in several forms, firstly it means they’re going to have to rethink the MCL33’s layout, with the powerunits architecture and cooling requirements different to Honda’s. Secondly, such is the long lead time of an item like the gearbox they may have to purchase next year's from Red Bull Technology, who’ll have been developing one for Toro Rosso (similarly Toro Rosso will likely run the McLaren gearbox for 2018). Lastly, McLaren have been boasting about how great their chassis has been for years, with the Honda powerunit the only thing holding them back. A deal with Renault could see them found out and whilst my expectations would be very low in the opening part of 2018, I’d expect them to make good on their promises later in the season, especially as McLaren have a reputation for delivering strong in-season progress. It must also be pointed out that McLaren had the best powerunit in 2014 too though and whilst their relationship with Mercedes was extremely tarnished at that point and Prodromou hadn’t yet arrived from Red Bull, they still had a woeful campaign by their standards. McLaren could also end up with egg on their face, jumping out of Honda’s frying pan into Renault’s fire, as the Japanese manufacturer improves it could propel the STR13 past them in the Championship - an unlikely scenario but a satisfying one for many if it happens. 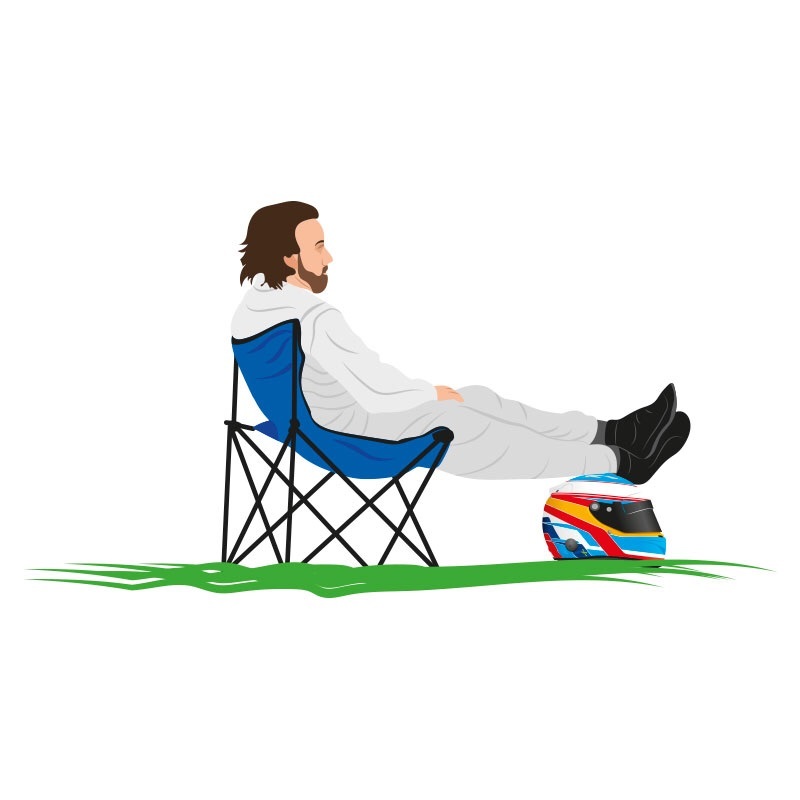 The likelihood is also increased by the mere fact that Fernando Alonso is involved, the Spaniard always seemingly in the wrong place at the wrong time. Should Honda finally get all their ducks in a row, we might even see Red Bull get the ‘works’ style deal they’ve been looking for since they set fire to their Renault one. I’m sure they’ll be keeping one eye on progress at Toro Rosso, with Honda’s satellite operation in Milton Keynes now looking extremely well placed too. "Whut? !, come again? Just make it simple, what's happening?" Very well written and for the less F1 aficionado, nice schematic at the end. How receptive or resistant is Honda to Mario at the minute, do you see this relationship continuing and creating tangible results? Clearly Mario knows his stuff as has been proven to the disbelief of Renault - but this was a totally different situation. I can sort of understand why there might have been a bit of animosity of having Mario forced onto you by Red Bull in the Renault camp. Also there is no way Honda would have accepted a STR deal which belittles their brand without the clause of a step up to a top 3 team like RBR very shortly. With this guarantee, Honda will be doubling their efforts and will have a serious engine within a couple of years. Is Mario really the big key to all of this? Is he in-bedded in the Honda project and does he have significant input? As I mentioned, this is a different situation to the RBR- Renault civil war: Mario's was invited by Honda and not forced upon them as was the case with Renault.It seems very odd that RBR let Carlos who is very highly rated not just by them, but most of the paddock go (eventually) and I wonder if RBR was lured to Honda because of the solid work Mario did to kick start the Renault engine, and they have seen similar ground work and progress by Honda/Mario project thus far? It is times like these that having two F1 teams is an advantage, giving you the choice to seat young up and comers in sub-par cars with the added benefit of minimal risk to run multiple engine suppliers to see which one works out better. Maybe Christian Horner might have to re-instate Ron onto his Christmas mailing list.